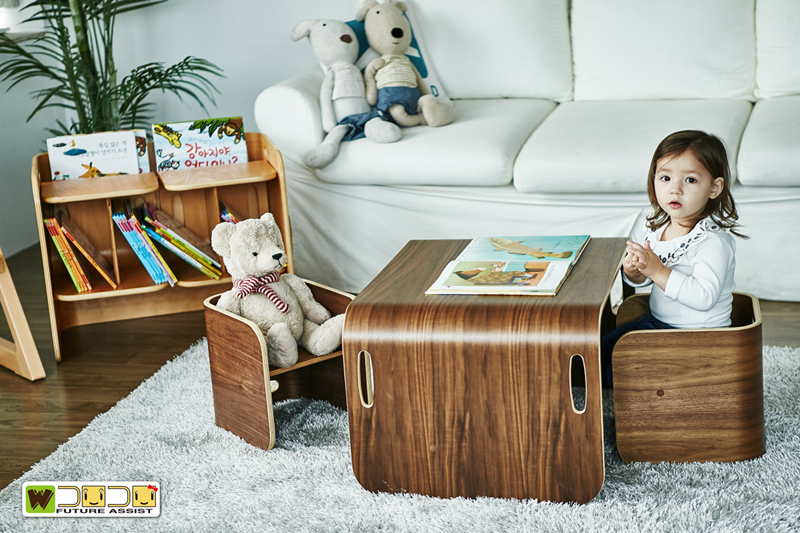 Combination of ColoColo chair & desk could be used to suit various situations, could be used as a desk, table or living board etc. 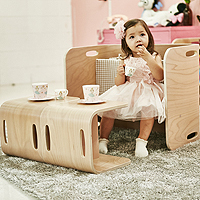 As always, child's safety is the biggest concern when you choose products for child. 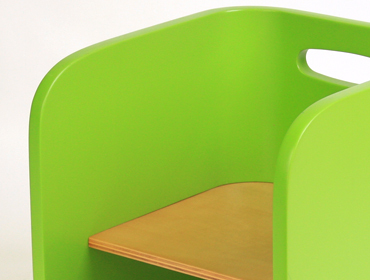 We pay particular attention to COLOCOL chair & desk, to ensure child's safety. 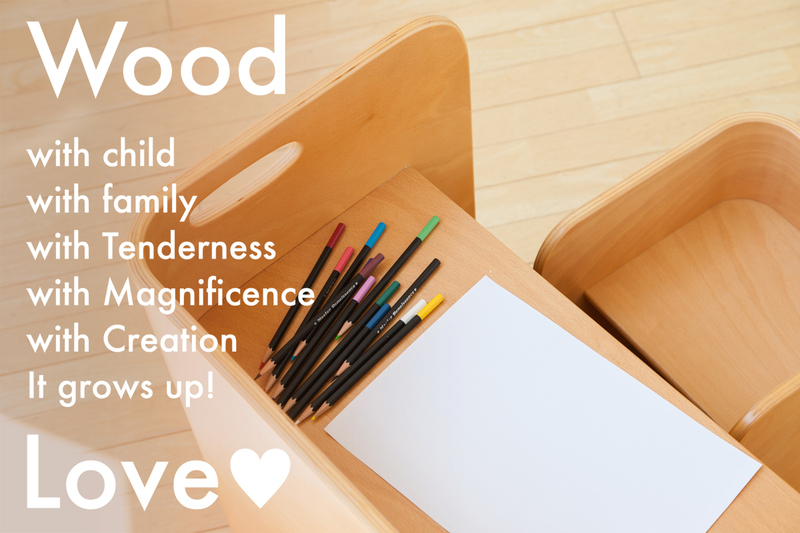 Please let your children use them freely in combination, it is good for nurturing creativity. 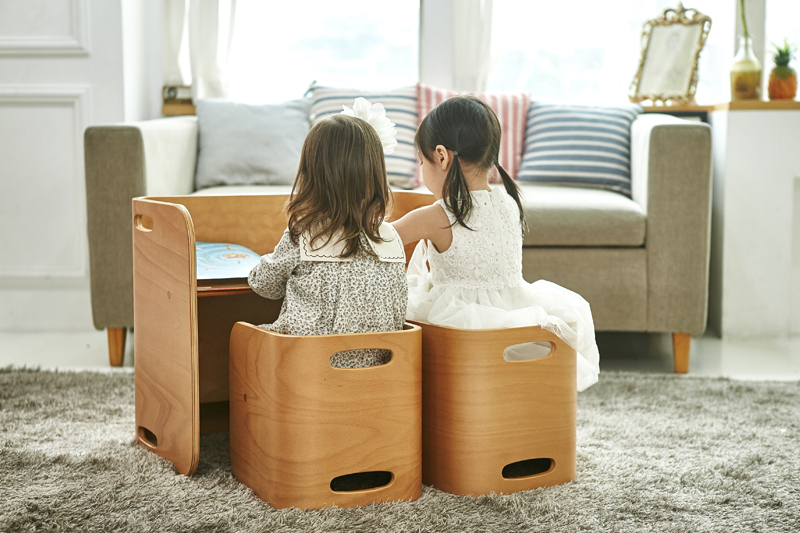 Children have powerful imagination, so maybe they will give you a surprise combination. 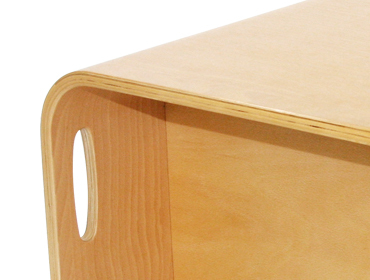 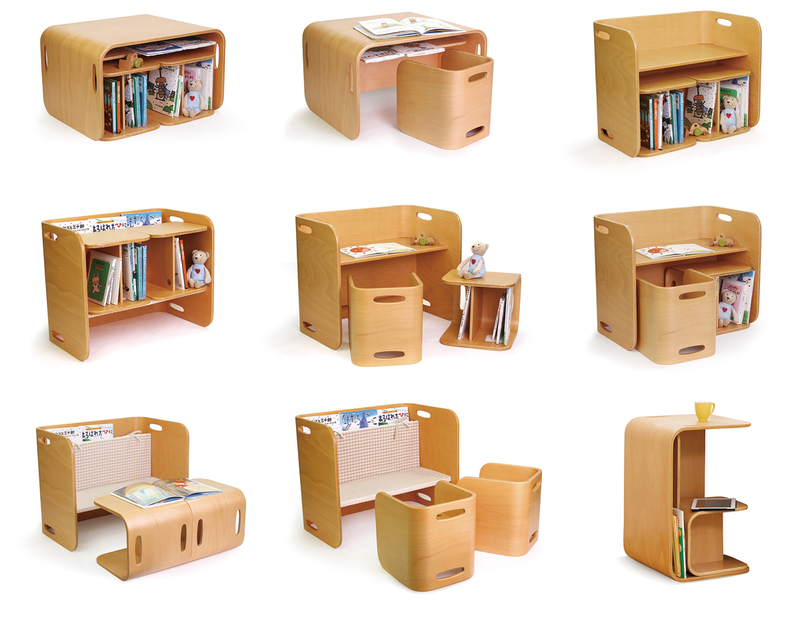 Example, using ColoColo chair as small table or bookrack, full of possible ideas could be made by your children. 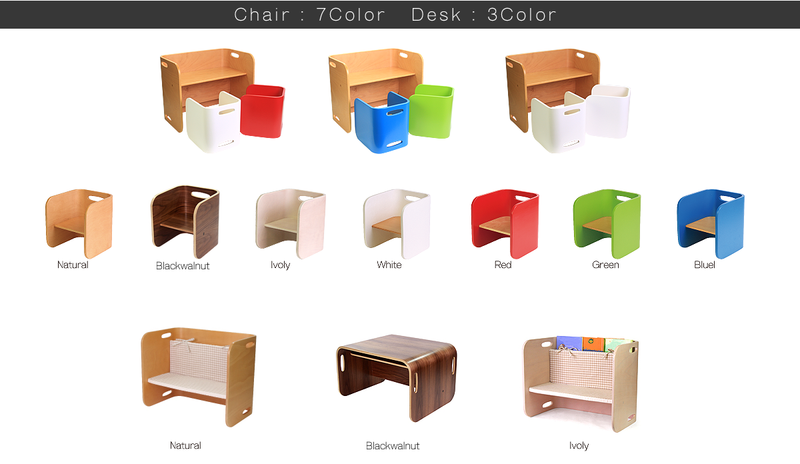 In addiction ColoColo chair & desk is very safe for children, you will let your children study or play alone. 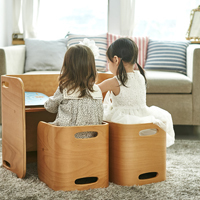 It is good for fostering independence and concentration. 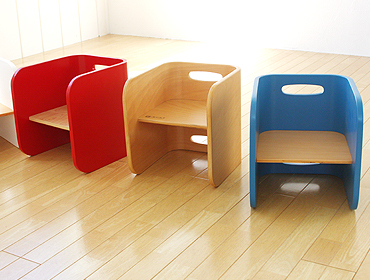 Height of the chair seat and desk can be adjusted as your children grow up. 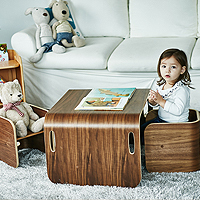 It can be used as a living board, bookrack or TV board even when your children are not using the table. 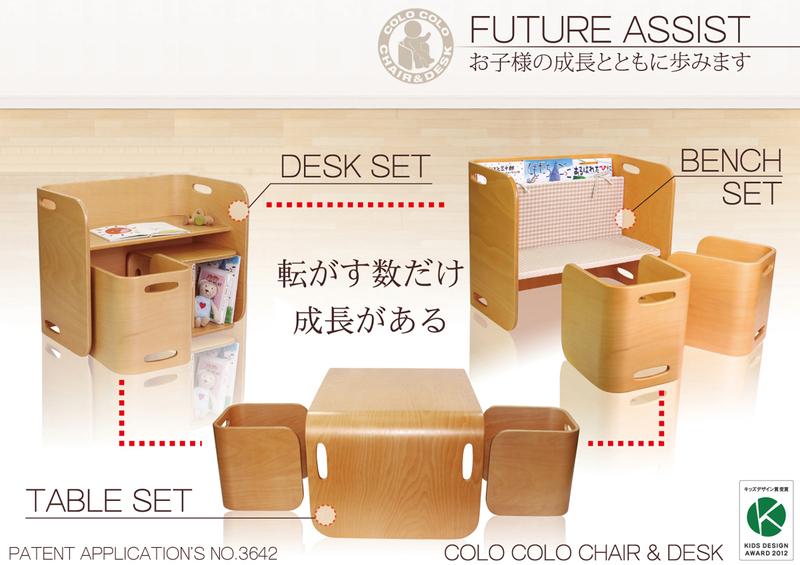 We hope ColoColo chair & desk can be used for a very long time. 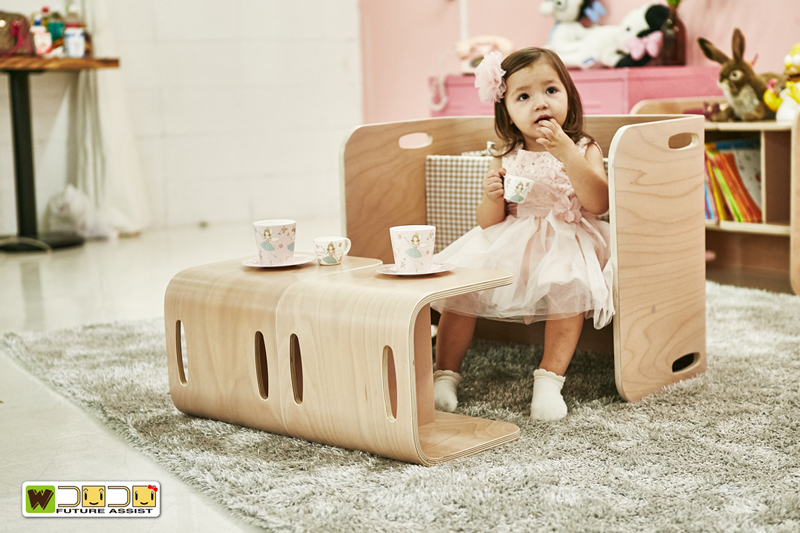 Not only can it be used by your children while growing up, it can also be used as your family's lifestyle furniture. 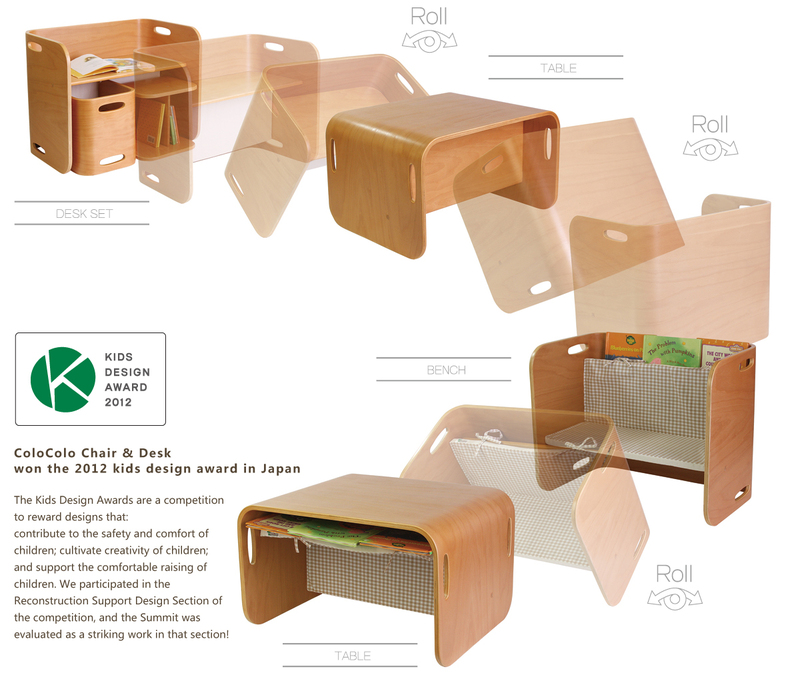 The perfect design of no edges or corners is not only for protecting children but also easy to roll away.